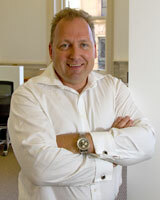 Described as a “Serial Entrepreneur”, Rod Drury defines innovation in ICT. Founder of Xero, the Software-as-a-Service company currently redefining small business accounting, Rod was founder and CEO of AfterMail which was acquired by Quest Software in January 2006 and subsequently won Best Exchange Product at TechEd 2006 in Boston. Rod co-founded USA based Context Connect Incorporated which provides directory solutions for mobile devices. Rod has international patents in the directories area. Prior to this Rod was Chief Technology Officer of Advantage Group (now Provenco) where he spent significant time in the USA working with leading international technology companies. Rod was an Independent Director of TradeMe – New Zealand’s most successful eCommerce Internet site- when it was sold to listed Australian media giant Fairfax. Rod continues on the TradeMe Advisory Board. Rod joined NZ Trade & Enterprise Beachheads Programme Advisory Board in August 2006 and is a member of the New Zealand Institute of Directors. Rod will be sharing the secrets to his success in a presentation and panel discussion on removing the barriers to innovation.